Vanian Green Village (render) in Estepona, a new development by AEDAS Homes, backed by foreign capital. Click for more information. 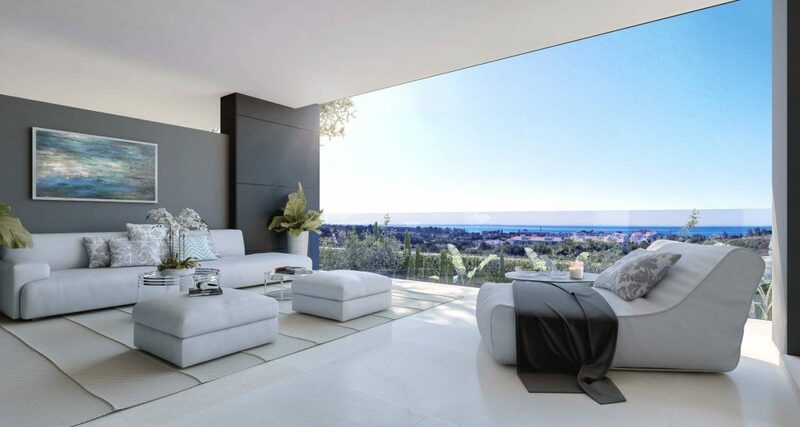 The Spanish property market will continue to grow next year, driven by new players in the development business, and foreign investment funds. This was the conclusion reached at “The New Home Industry” conference held in late November and organised by the property supplement in the Spanish daily El Mundo and financial broadsheet Expansión. The main roundtable brought together the directors of the companies currently leading the recovery of the residential sector: Via Célere, Neinor Homes, Aedas Homes and Aelca. Among other topics, they discussed the current state of the market, its opportunities, the issues it faces, and the main challenges in the short and medium term. The president of Via Célere, Juan Antonio Gómez-Pintado, said that the main change in the current property cycle compared to the previous one has been the long-awaited alternative to bank financing, namely “capital from investment funds that allows us to buy land with our own resources”. He also highlighted that the new home industry has a “higher business profile” and recognised that “there’s a lot more pressure because of the level of competition”, which he believes is “very positive”. Juan Velayos, head of Neinor Homes, agreed with this and said that he views the market with “optimism” because the economic conditions for growing demand are in place. He also said he was pleased to see that new companies have joined the sector managed by “people with high expertise and know-how, which means we all have to up our game”. Velayos believes the foundations are in place for “a strong property sector in the long run”. Another change in the business is the emergence of better informed and demanding clients. For Sergio Gálvez, Strategy and Investment manager at Aedas Homes, this is “the main change in the new property cycle”. He explained that “the buyer has become the central point of the whole value chain, forcing companies to use new technology such as big data and consumer opinion systems”. Because well-informed buyers now that “the property they want must fit their budget”, price has become the main deciding factor, “more important even than location,” argues Beatriz Toribio, manager of Research at Fotocasa, a property portal. She pointed out the difficulties new-home buyers face to get what they want because new homes cost €270,000 on average compared to a resale price average of €172,000. To make new homes more affordable she argues “the main players in the sector should release more homes on the market as soon as possible”.